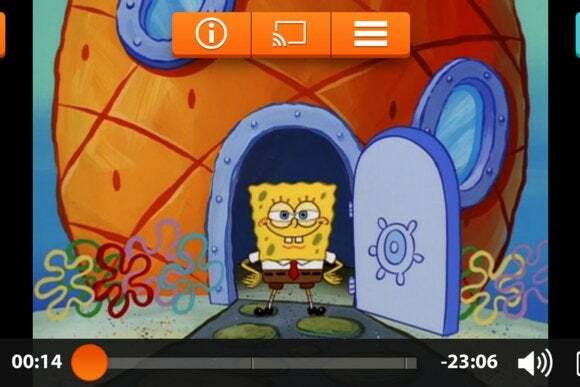 Nickelodeon is joining the parade of TV networks unbundling from cable, with plans to offer a standalone streaming service in March. Parent company Viacom revealed the plans during an investor call on Thursday, Variety reports. Viacom CEO Philippe Dauman said the service will be aimed at mobile users, though it’s unclear whether this precludes streaming on computers and set top boxes. The service may also have a different name or branding. Nickelodeon is hardly the first to detach itself from big cable and satellite bundles. CBS launched its standalone All Access service for $6 per month in October, while HBO and Showtime both plan to offer streaming services this year. Several other networks including ESPN and CNN have signed on with Sling TV, a $20 per month streaming service from Dish Network. So far, there’s no word on how much Nickelodeon’s service will cost, but Variety says more details should emerge next month when the network meets with advertisers. It’ll be interesting to see what the service entails, given that Nick already offers plenty of free content through its existing mobile (and Chromecast-friendly) apps. Why this matters: This is a pretty big deal if you have kids, as the ability to conjure their favorite shows on-demand—and on mobile devices—is akin to a superpower. Unbundling from cable makes a lot of sense for Nickelodeon, as it lets the network reach more parents and kids on its own terms. And even if it charges a premium price, there will surely be plenty of parents willing to pay for those precious minutes of calm.